Teenage Mutant Ninja Turtles was a show from our childhoods, even tho the style of the cartoon has changed up throw the years, the intro song from 1987 is still recognizable. Four teenage mutant ninja turtles emerge from the shadows to protect New York City from a gang of criminal ninjas. Leonardo, Donatello, Raphael, and Michelangelo. If you grew up in the late 1980s or early 1990s, these names probably ring a bell. 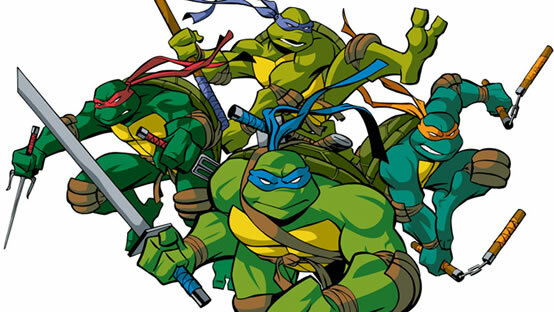 Created by Kevin Eastman and Peter Laird in 1984, the Teenage Mutant Ninja Turtles originated in comic books but they soon expended into films, video games, toys and other merchandise, gaining considerable worldwide reputation and fame. As the turtles were famous for their pizza weakness, the TMNT mania hit the pizza industry like nothing before, causing a fierce battle between the pizza giants. Pizza Hut was able to secure a $20 million marketing campaign with the movie, but it was Domino’s who got the privilege of feeding the turtles in the movie.